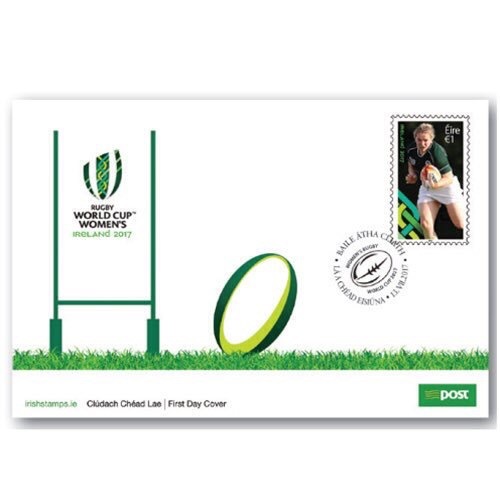 On July 13, 2017 AN Post, Ireland’s postal service issued a stamp to commemorate the 2017 Women’s Rugby World Cup. 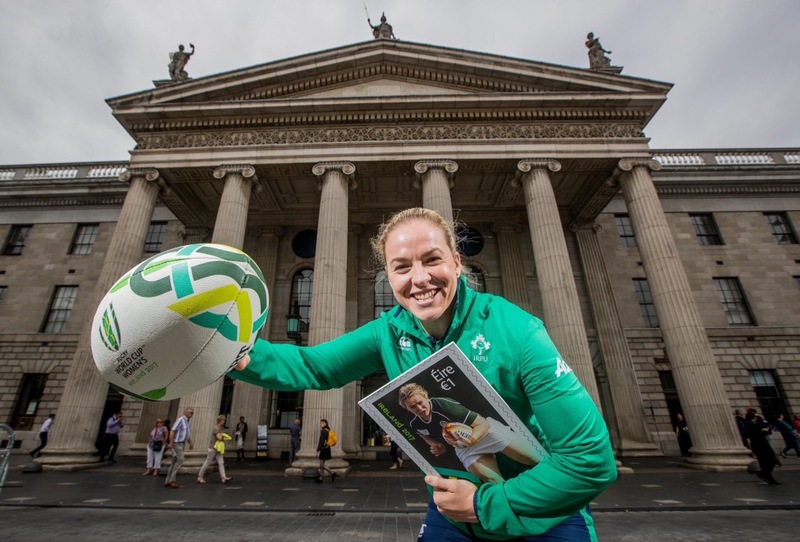 Ireland have always been keen to celebrate rugby via the postal system, particularly Rugby World Cup tournaments. The wonderful 1995 tournament in South Africa was celebrated by many dogs in Ireland as the stamps issued, shown below, landed on the doormat to be chewed to pieces by hungry Labrador’s all across the Emerald Isle. 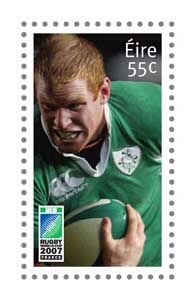 Not many gingers have had their “boat race” splashed over a 55c philatelic special, but in 2007 the great Paul O’Connell received the special treatment, to commemorate the World Cup in France. The canine population of Eire celebrated equally vociferously dancing on the doormats of Dublin with a quadrupedal Riverdance. 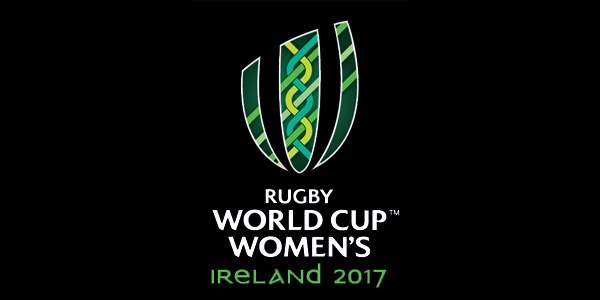 Now, in 2017 the eighth Women’s Rugby Cup takes place in Ireland. Matches are planned from August 9 to August 26 in University College Dublin, Queens University, Belfast and in Kingspan Stadium, home of Ulster Rugby, in Belfast. The pool stages take place in University College Dublin from August 9 to August 17, with the semi-finals and play-offs in Upper Malone, Queens University, Belfast from August 22 to August 26. The final will be played at the Kingspan Stadium which is one of the shortlisted venues for Ireland’s 2023 Rugby World Cup bid. 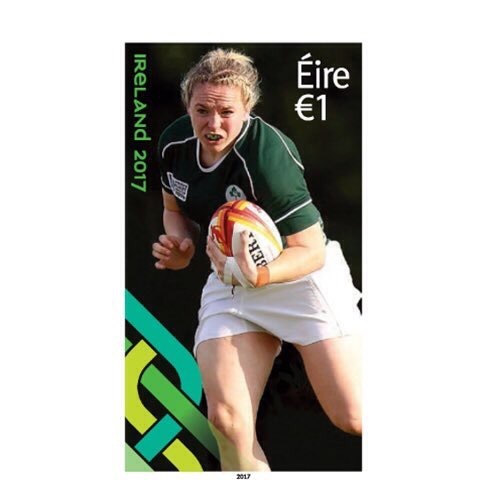 The postal services have come up trumps once again with a 1 Euro stamp featuring Niamh Briggs, captain of Ireland and Limerick Garda officer. 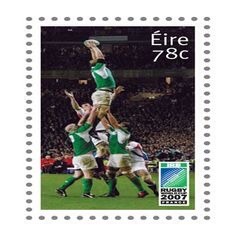 The stamp you see here was designed by Zinc Design Consultants, and shows the Irish captain in the thick of the action on the field. So the Labrador’s wolfhounds and Irish setters will be rubbing their paws with glee as a new Irish rugby face is about to greet them through the letterbox.